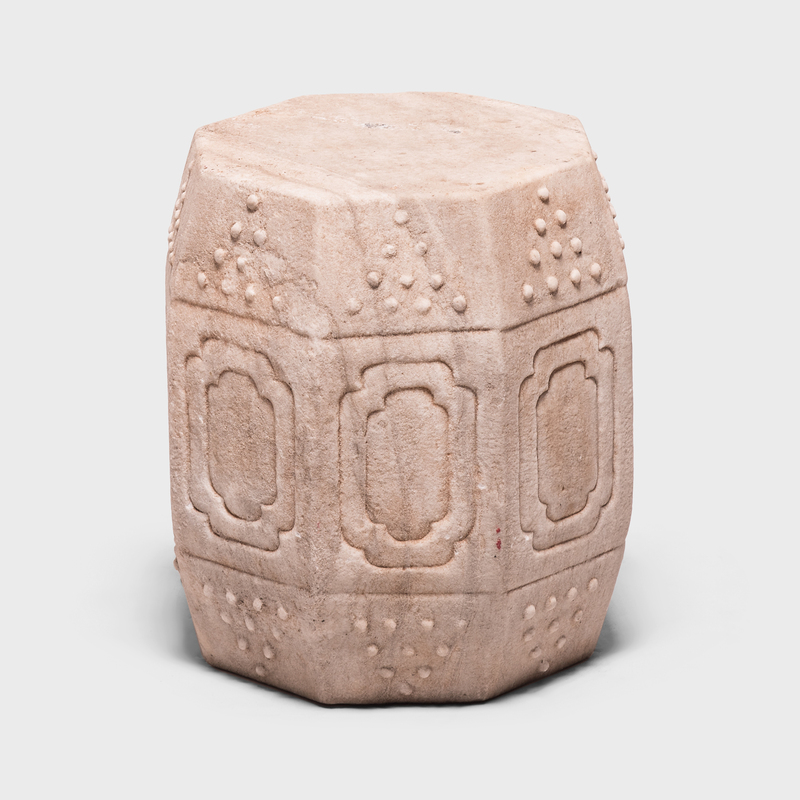 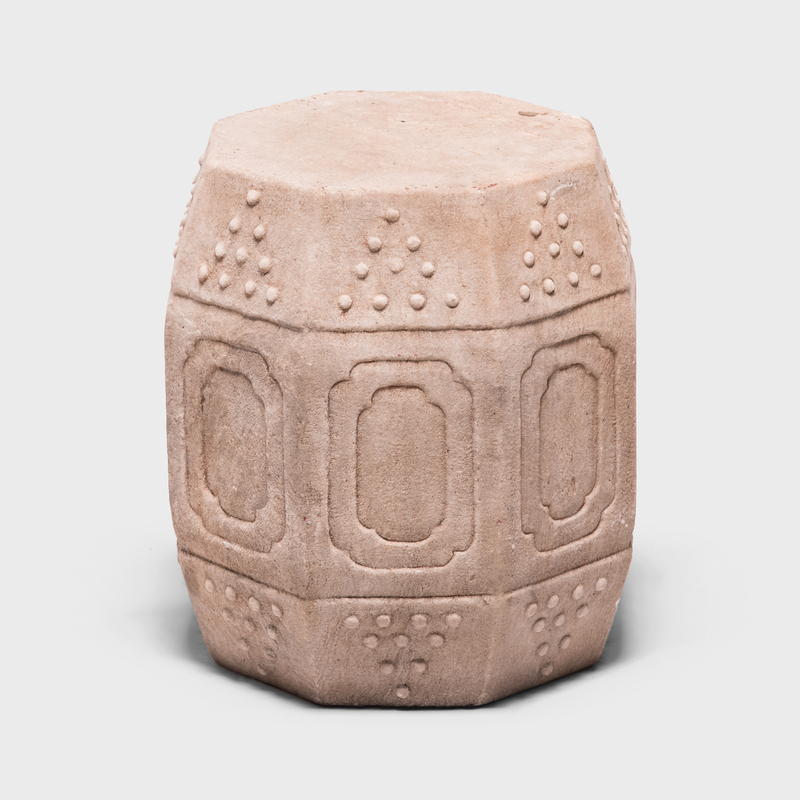 Hand-carved of solid marble in China's Hebei province, this early 20th-century drum-form stool has eight sides, an auspicious number symbolizing good fortune and prosperity. 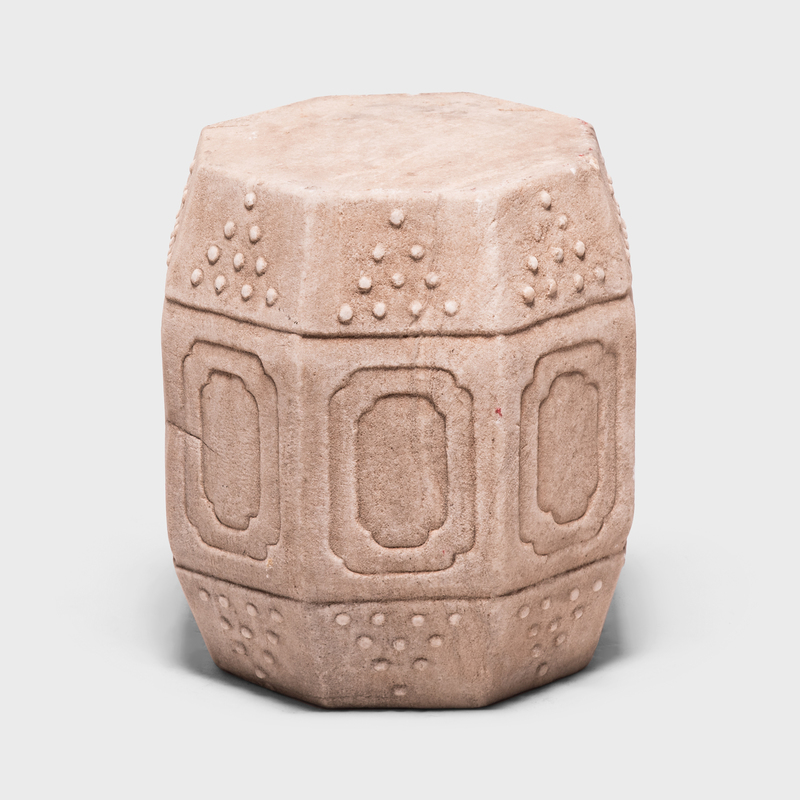 Each side is decorated with a simple yet effective design of nested cartouche panels and imitation hobnails. 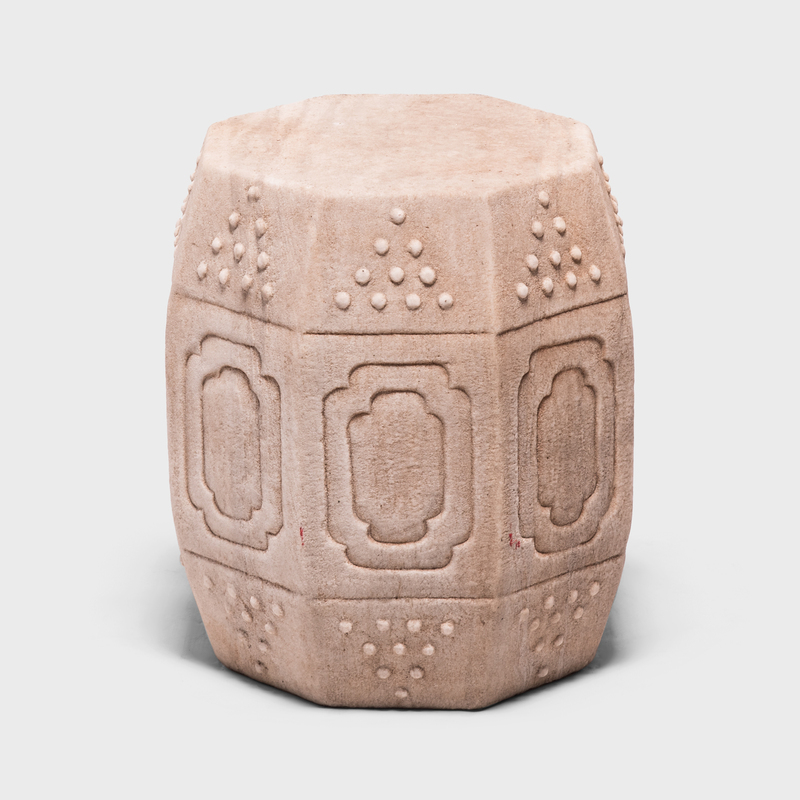 Traditionally used as a place to rest one’s feet, a stool like this may have originally been nestled among the trees and flowers in a traditional Chinese garden. 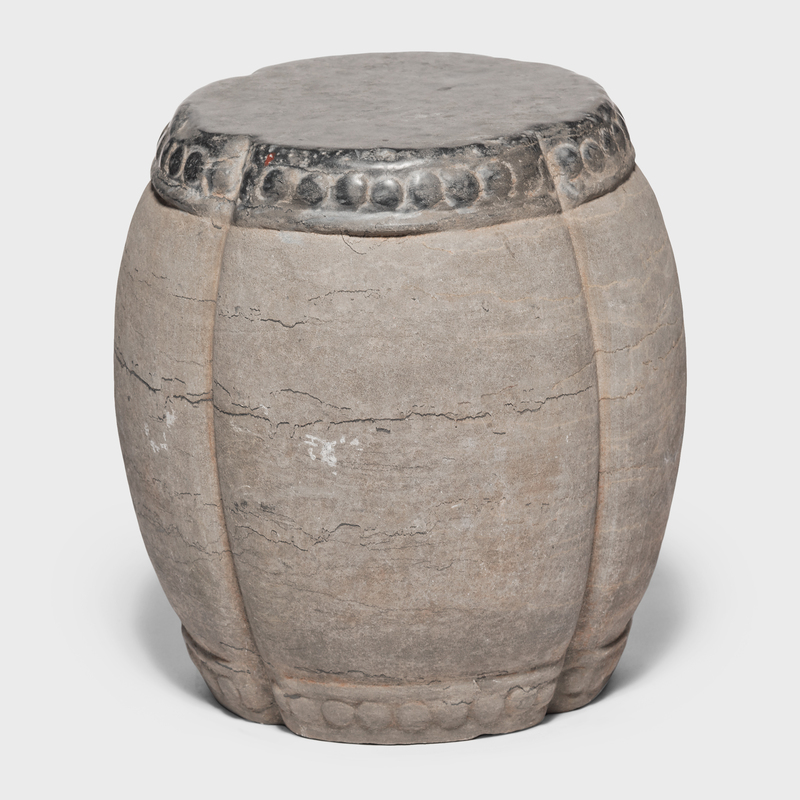 We also enjoy it as a small side table indoors or out.